Phillips is a very popular brand especially amongst the chefs of top restaurants and hotels in Hong Kong. You may have tried them before in the form of crab cakes at these esteemed restaurants. Blind taste tests have been conducted on some top chefs who highly regard this brand of premium crab meat. Phillips Special Crab Meat is very versatile from the body of the crab and is excellent for crab cakes, salads, wraps and soups, to name a few dishes you can make with them! As compared with Crab Claw Meat, people prefer using Special Crab Meat for noodles and dishes with vegetables as the colour of Special Crab Meat is white. These are cooked and ready to eat, very convenient! Phillips is a very popular brand especially amongst the chefs of top restaurants and hotels in Hong Kong. You may have tried them before in the form of crab cakes at these esteemed restaurants. Blind taste tests have been conducted on some top chefs who highly regard this brand of premium crab meat. 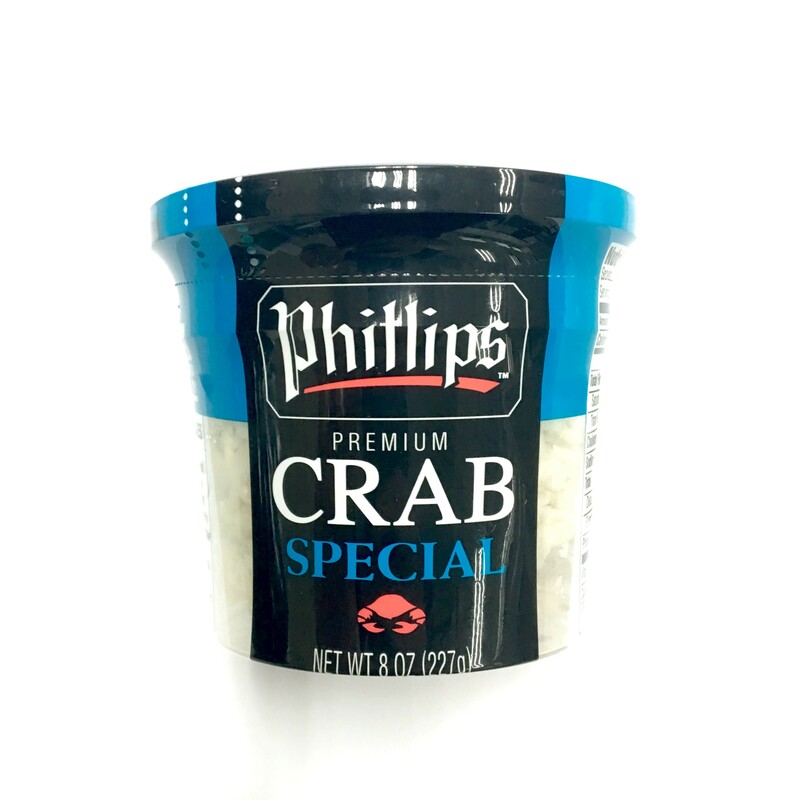 Phillips Special Crab Meat is very versatile from the body of the crab and is excellent for crab cakes, salads, wraps and soups, to name a few dishes you can make with them! As compared with Crab Claw Meat, people prefer using Special Crab Meat for noodles and dishes with vegetables as the colour of Special Crab Meat is white. These are cooked and ready to eat, very convenient! Weights listed are only approximate and may have a +/-10% variance (however, this usually means the item weighs a bit more than the listed weight). Please note that the pictures shown are for reference only and may not be an exact representation of the product. Currently, unless specified otherwise, all our meats, seafood and vegetable items come raw and frozen.